The shotgun start features a four-player scramble format. Special contests for Hole-In-One, Closest to the Pin and Longest Drives, as well as awards for the top three teams. The $85 per player entry fee includes green fee, cart, prizes, luncheon, and beverages. For further information, contact Phil Bryan at 410-313-1668 or pbryan@howardcountymd.gov. Cost includes tournament round and donation to Tommy Ross Memorial Fund. Thank You Badge and Bag Sponsors! John L. Crompton holds the rank of University Distinguished Professor and is both a Regents Professor and a Presidential Professor for Teaching Excellence at Texas A&M University. He an undergraduate degree in physical education and geography from Loughborough College, an M.S. degree in Recreation and Park Administration from the University of Illinois, and an M.S. degree in Business Administration from Loughborough University. In 1970, he joined Loughborough Recreation Planning Consultants as their first full-time employee. Dr. Crompton received his doctorate in Recreation Resources Development from Texas A&M University. For has taught both graduate and undergraduate courses in both the Department of Recreation and Parks and the Department of Marketing at Texas A&M University, but he now teaches exclusively in the Department of Recreation, Park and Tourism Sciences. Dr. Crompton's primary interests are in the areas of marketing and financing public leisure and tourism services. He is author or co-author of 20 books and a substantial number of articles which have been published in the recreation, tourism, sport and marketing fields. and leisure management fields. He has conducted many hundreds of workshops for professionals on marketing and/or financing and has delivered keynote addresses at the World Leisure Congress and at Annual National Park and Recreation Conferences in Australia, Canada, Great Britain, Japan, New Zealand, South Africa, and the United States. He is a past recipient of the National Park Foundation’s Cornelius Amory Pugsley award for outstanding national contributions to parks and conservation; the US Department of Agriculture’s Agricultural Colleges National Teacher of the Year Award; the National Recreation and Park Association's (NRPA) Distinguished Professional award; the NRPA National Literary award; the NRPA Roosevelt award for outstanding research; the Distinguished Colleague and the Distinguished Teaching awards of the Society of Park and Recreation Educators; the Travel and Tourism Research Association's Travel Research award, Senior Fellow of the World Leisure Academy; Elected Fellow of the International Academy for the Study of Tourism and, Minnie Stevens Piper Professor for excellent teaching in the state of Texas. At Texas A&M, he has been Cintron University Professor for Excellence in Undergraduate Teaching. Recreation Administration; the Society of Park and Recreation Educators and the Academy of Leisure Sciences. He is a Board member of the National Recreation Foundation. In 2006, the city of College Station named a new 16 acre neighborhood park, John Crompton Park. Dr. Crompton served 4 years as a city councilman for College Station from 2007-2011, and was Mayor Pro Tem in 2010-2011. Jo in us in celebrating the many exhibitors at the Exhibit Hall Grand Opening. Many businesses and professional services are located in the exhibit hall for your convenience. Meet and support your exhibitors while using this time to also network with your colleagues. A cash bar will be available. 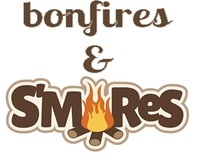 Join us for a fun-filled night with something for everyone - music, dancing, bonfire and s’mores! Grab a pair of wireless headphones from the DJ and join the Silent Disco! Grab a stick, roast a marshmallow and make a s’more by toasty, warm bonfire! Grab a beverage, see old friends and meet new people! You won’t want to miss this first social of the week. Participate in an inter-active discussion of maintenance issues of Assateague State & National Seashore Parks. Learn the various practices necessary to manage these unique and diverse ecosystems. Not only will we explore sandy beaches, salt marches, maritime forests and coastal bays, but we will also learn the different methods used to manage concession operations, use of solar energy, react to the challenges of climate change and management of nuisance species. The common element these two parks have with other parks throughout the state are its Interface with the public and managing the impact of public utilization while protecting the valuable natural resource! This is a great opportunity for agency directors and past presidents of MRPA who return to the 2017 conference to share issues and activities that are affecting the parks and recreation field. In a tight labor market, candidates have a lot of choices. Finding and hiring the right person can be increasingly difficult. The other challenge is to see the true person that sits in front of you at the interview. We call that the "inner"view. It's not always easy to see the true candidate during 1 or possibly 2 initial interactions. When you take the time to plan and really consider what the best candidate for the job looks like from the inside out, the odds of making a solid choice increase dramatically. In addition to brainstorming and practicing, we will dive into what your hiring goals are around key attributes, competencies, skills and behaviors and work on how to unlock the answers. Everyone’s transition is different and takes time. This session aims to touch the lives of others to understand the Transgender Community in a whole new light. Hear how one person approached it to make it successful with her family, friends, job, and volunteer organizations. After serving in the military for 5 years after Karen transitioned, she has been accepted and supported and is now working with the U.S. Veteran Reserve Corps. Karen will share her TED Talk experience and other things that she has had success in involved with since her transition. Join the minds behind Badlands for a hour long dive into the theories behind allowing children to learn through unstructured play. You will leave this session with the tools necessary to apply this theory of alternative learning to your existing program and the skills to write new program curriculum that encourages exploitative play. We will also discuss our preferred method for training our staff to allow for children to take risks without endangering themselves. Visit www.badlandsplayspace.com to see us in action! Many organizations seek federal and private grants to procure external funding for their programs, including parks and recreation. While grants provide opportunities and resources, there are always strings attached. Finding and applying for grants also takes knowledge and skill. Learn about successful strategies for writing grants, tips for finding grants, and how to present your ideas in a compelling narrative. Here's what to do. How can any recreation space be a makerspace? What is making, and how can young people and families benefit from community-based maker education? This presentation and activity session is designed for recreation professionals and administrators that are including STEAM approaches and activities in their youth development programs, but want to develop their/their staff's knowledge, confidence and skills as maker educators - hands-on learning experts who meet the developmental needs of children and families through the integration of invention and play. FutureMakers will present examples of pop-up makerspaces, and define how recreation professionals can take an integrative approach to making. We'll coach you through the basics of design thinking, you'll create a take-home motorized machine that can draw, and learn about other tested projects for effective youth and family engagement programs! Chair Chi is a gentle exercise program developed by Pat Griffith to help people receive the benefits of traditional Tai Chi Chuan in the comfort and safety of their chair. This allows people who cannot stand or do not feel confident with their balance, to participate. A new hire arrives a little nervous, yet full of enthusiasm and excitement. Is the red carpet rolled out for them? Are they greeted future stars of your organization? After all, their performance determines your agency’s reputation. More than creating a positive first impression, more than conveying agency information, an orientation program should convey employees as an organizations most valuable resource. Employee retention is a result of a healthy work culture, challenging yet rewarding work and empowerment. Hear directly from today’s workers what they want out of an orientation and what they seek in an agency’s ulture. Command presence is an elusive quality, but everyone knows it when they see it. Walking into a room, you know that there is someone in a leadership role, even if it is not a formal designation. Great leaders show this in both verbal and non-verbal ways, communicated in a way that is non-threatening and approachable. Learning to make a positive, authoritative mark in a board room, staff meeting, or a public hearing is life-changing and empowering and can lead both you and your agency to greatness. When you start your day, do you think " have to go to work" or do you think "I get to go to work"? Getting to go to work means you understand the purpose of your job, you feel appreciated, and you have fun. This interactive session includes a mix of thought-provoking discussion as well as dynamic activities to empower individuals to increase their own engagement as well as encourage managers to increase the engagement of the teams they lead. The Silent Auction Baskets will be on display and open for bids. Everyone has heard that utilizing social media can be a cost-effective way to promote your agency's brand and programs. But how can you prove it? Social Media Measures that Matter is designed for beginner to moderately experienced social media users to better understand data collection and presentation. The session will help participants identify what to track, tools used to track, and tips for visualizing data. Darryl Wyles, M-NCPPC – Prince George’s Co.
A simple deck of cards. It is small, light, and easy to carry. But with the right set of games and activities, you can use this everyday prop to create meaningful icebreakers and exciting games. It is also a great tool for intentionally dividing campers into random teams or groups. They're not weeds! You know that, but do park neighbors? Examine some tricks of the trade to learn some ways to bring more natural areas to public parks in ways that are not objectionable! Help your community's kids get their dose of ‘Vitamin N’ by bringing nature to where they play. "We gotta drive back, we forgot her wheelchair." Growing up with a mobility impairment opens the door for quite a few "you live and you learn" moments. 2015 Team USA racer Jill Moore shares her story of how these moments shaped a life that went beyond disability and became something truly extraordinary. Active Aging Programming - Do You Really Know What It Is? When we hear “active aging”, we get stuck on the word “active” and may assume it pertains to the vibrant, ailment-free older adult. On the contrary, this couldn’t be farther from the truth. This session will help define “active aging” and provide some new perspectives on programming for the rapidly increasing 50+ adult population. Are you a person of impeccable integrity? Do you accept responsibility and consequences for your decisions and behaviors? Do you examine yourself first before pointing a finger or blaming others? No matter what your title or position holding yourself accountable is the first step to creating and maintaining healthy relationships and an accountable workplace. Nicholas Johnson, M-NCPPC – Prince George’s Co. Learn how college students and young professionals can develop a comprehensive approach to preparing for and executing successful interviews, as well as other tips and suggestions for career readiness. Students will learn about essential interview preparedness and practice new skills, while avoiding common pitfalls and gain valuable feedback on their interviewing abilities. In addition, students will develop their own “60-Second Pitch” to better market themselves. It takes hard work and measured preparation to set yourself above the rest; this session will provide the tools you'll need to get started. Changing Your Brain Can Be As Simple As Child's Play! Learn how to change your brain through fun, creative, physical movement, no matter what your age. Maintaining healthy neural pathways can be as simple as child's play! Based on the concept of neuroplasticity, Ageless Grace is playful movements taking only ten minutes every day to exercise all five functions of your brain and all 21 physical skills to stay optimally fit. It is developmental for children, preventative for adults and restorative for baby boomers and beyond. And it's FUN! Nancy Pfeffer, M-NCPPC – Prince George’s Co.
Dionna Jones, M-NCPPC – Prince George’s Co.
You know your A, B, C's but do you know your QVSC? Quality, Value, Service & Cleanliness (QVSC) are the foundation of excellent Customer Service within any successful agency. This course will explore each key component and help participants assess how well you're doing and how you can improve your QVSC and ultimately increase revenues. This interactive session will demonstrate just a few of the innovative senior programs that have been successful for the Rockville Senior Center Sports and Fitness Department. This session will allow attendees to actively participate and they will be given the opportunity to experience a sample the different programs offered. From the gentle moves of Yo-Chi and Balance to heart pumping moves with Drums Alive, this session will be sure to reshape the way you may think about senior fitness. Over the last two years, emergency events that happen in our facilities and properties have shifted our focus in developing emergency plans. In this workshop, attendees will learn the benefits of creating an agency-wide communication plan and demonstrate the skills acquired. Many emergency and critical events that happen in our community leave us wondering how to better prepare for communicating with the public through non-traditional channels. This workshop will provide a foundation for developing a digital crisis communication plan that encompasses the agency's mission. The fable of the Sun and the Wind: The sun and the wind decide to have a competition to see who was stronger. The winner would be the one who could persuade the man to take off his coat. The wind blew and blew, but the man held more tightly to his coat. Then the sun came out and gently shone down upon the man; within minutes the man took off his coat. The moral of this fable is that you cannot force people to do what they don't want to do; however, you can influence others by how you treat them and what you do for them. Leaders can influence employees by how they treat them. Hiring the best people for the job, getting out of the way so they can shine. Stand back and cheer on your team is the best way to be influential. The annual Duck Race to support the RALS Branch will be held at the Princess Royale Pool prior to the Wednesday night social. Adoptions are limited, so look for your friendly duck vendor early in the week. It’s a Bird! It’s a Plane! It’s the Super Hero Social! Break out those capes and super hero costumes. Join us for the Super Hero Social on Wednesday night for networking with other super heroes, dancing like Spidey, and working together like the Justice League. DJ That Guy will be on the 1s and 2s to make sure you have a super hero time! Do you find your attendees are not engaged in training sessions? Do you want to increase their retention of the material? Whether training staff or volunteers, experiential learning helps to make any training more fun and impactful. This session will provide a variety of exercises that can be used as openers, energizers, reinforcers, and powerful learning tools to maximize the impact of any training session. Corey Smith, M-NCPPC – Prince George’s Co.
Daniel Vigus, M-NCPPC – Prince George’s Co.
Join us for an interactive session outlining the best practices for making your temporary events accessible to your entire community. We will review common mistakes as well as recommendations for simple fixes. Participants will analyze case studies and engage in a hands on activity to develop an accessible temporary event. Great teams produce great work and dysfunctional (or even mediocre) teams do not. Nobody wants to be part of a team that does not produce first-rate results, but many of us live in those environments every day. High functioning teams practice accountability, purpose, cohesiveness and collaboration. How do you turn an under-performing team into a great team? Can you make a good team better? The attendee will be challenged to value the different styles of the people on their team, listen better and ask better questions, choose an approach that is right for the situation, and deal with situations in a way that is team-centered and puts the big picture into focus. Difficult discussions are never easy. We put them off, avoid them, or handle them poorly. Our emotions get the best of us and we end up feeling resentment or worse. Just as an orchestra has many moving and important parts, they all must work together to make a beautiful, harmonious symphony. We all want to live and work in harmony, but it takes time, practice and effort. This presentation will help you discover tips and tools to assist you in the preparation, delivery, and positive outcomes of a conversation that needs to happen. The playground should be a place for laughter, friends and fun, for all. Traditional playgrounds focus on accessible design and developmentally appropriate play activities. According to the CDC, one in 59 children has autism resulting in challenges interpreting sensory messages, engaging in play and social interaction. All children learn through their senses. Evidence-based research shows sensory-rich play environments develop functional skills, imagination and social skills providing a higher level of inclusive play for all. Park programming in recent years has seen a sharp focus on fitness and health, evidenced by global programs such as Healthy Parks, Healthy People. Our technology-focused lives are resulting in an increasing amount of indoor screen time for both children and adults, and direct access to nature has become less frequent for everyone. At the same time, the health of our environment is being challenged by the impacts of climate change - specifically, sea level rise, severity and frequency of storms, and decreased amounts of quality natural areas. Good park design has a role to play in each of these aspects of human health â€“ physical, social, community and environmental. New and refurbished park areas â€“ especially in urban areas - are incorporating spaces for outdoor education, community civic space, biking and walking trails, group exercise, food production, and social/civic wellness. Presenters will showcase a variety of parks throughout Maryland that are being designed (or redesigned) to respond to these challenges in tangible ways. When citizens vote 78% in favor of a tax levy, you know you have their support! Learn the story and the methods used by Centerville-Washington Park District to engage 58,000 to improve an already popular agency. By asking, listening and acting, CWPD nearly doubled program offerings; reached 50% more residents; and, scored the highest Yes vote in the 53-year history of the District. The positive impact led to being Gold Medal finalists three years later. Katrina Williams, M-NCPPC – Prince George’s Co.
Staci Tyler, M-NCPPC – Prince George’s Co. The National Association of County Park and Recreation Officials (NACPRO) award-winning Department of Parks and Recreation, Health and Wellness Action Plan was created over a period of 18 months. The Plan was designed to develop strategies and implement objectives from the adopted master plan, Formula 2040, and establish a focused health and wellness work program for the Department. The Department, in collaboration with community partners and stakeholders, intends to reduce obesity in the County, elevate the Department’s role as a health and wellness provider, and increase resident participation in healthy lifestyle activities. This workshop will review the importance of parks and recreation agencies as it relates to public health, outline the steps taken to develop the Health and Wellness Action Plan, and identify potential stakeholders and ways to enhance success in the development of a health and wellness framework. The session will take the attendees through a successful youth fishing program. It will examine what could work in the attendees community. It is hoped that the attendees will apply the information to start a youth fishing program in their communities. Have you seen an increase in participants with challenging behaviors in your community based programs? Are you unsure about what to do and how to build success for every participant within your program structure? Join us as we explore the world of mental health in understanding emotional and behavioral disorders. Participants will learn the definitions and signs and characteristics, and gain an understanding of what these youth may be experiencing as well as some tips for supporting challenging behaviors within your inclusive settings. Aristotle Thought it Was a Good Idea… Come on, Get HAPPY! Although Aristotle talked about happiness more than 2,300 year ago, researchers have only been studying the science of happiness for less than twenty years! As park and recreation professionals, you work tirelessly to create and maintain the places, spaces, and programs that help to provide enjoyment, leisure, relaxation, and social connection that greatly attributes to the happiness of others. But when was the last time you checked in with what makes you happy and creates a happier, more pleasant workplace? Using the excellent research findings from the Greater Good Science Center at UC Berkley, participants will engage in activities that help to promote happiness and be provided with take-aways that could help make that lens on life, a little more rose-colored. This session will allow participants to gain insight on their own happiness and better understand the intentional happiness they can create every day at home and at work. genuinely has a love for people and a passion for helping them improve. right support and tools. She does that through coaching, training, consulting and speaking. Management School in coordination with NCSU and NRPA and is an instructor for the Effective Supervisory Management Program with UNC -Chapel Hill School of Government. She is a Past President of the NCRPA and coordinates the Annual LeadHERship Workshop in partnership with Recreation Resources Service, a consulting group with NCSU and State Parks. She has spoken at national, state and local conferences as well as a number of state university classrooms. See how you can use a CMMS to track the efforts required to mark utilities prior to digging, a regulation enforced in most states. Using work orders, activities, checklists, and inboxes, the progress of marking can be assigned and tracked for both external utilities and those laid by internal staff or contractors and not marked by utility companies. Presented by Maryland National Capitol Planning & Parks Commission. Join us for the dinner banquet and the installation of our president and Association Officers, as well as honor Carolyn Ryan at her closing dinner. We will also be recognizing special accomplishments and contributions to the parks and recreation profession. Recommended dress: coat and tie for gentlemen and appropriate dress for women. The awards and installation dinner takes place on Thursday evening, April 11 beginning with the Presidents cocktail reception at 6:00pm. 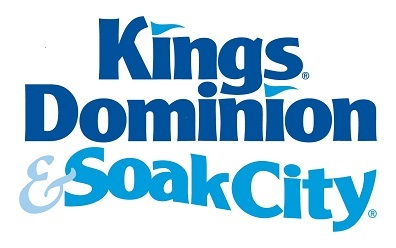 Registration for your seat is required and must be completed by March 30. Additional seats at your table can be reserved with the email address of other guests. Everyone must have full conference package or have purchased a ticket to the banquet to register for a seat. Registration is through Sign Up Genius. MRPA THANKS ITS CONFERENCE SPONSORS!